I simply want to enter 2 separate melody lines on the same staff. How to I let the app know which voice to use upon entering the notes? Thx! just tap the Voice icons in the note entry palette (they look like two notes on top of each other with stems going in opposite directions). This will swap you between voice 1 and voice 2. How can I make a voice-over sound like the robotic voices in Transformer movies? 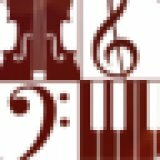 I would like sound samples for choir voices (SATB). Better would be an engine to sing the lyrics! Where can I find a video that will demonstrate how to record and edit just voice?